Any disruptive, inappropriate or hostile behavior occurring in a nursing facility is unacceptable. Unfortunately, recent research has found that approximately 20 percent of all nursing home residents have been victimized by one or more aggressive or negative encounters with caregivers and other residents while living at the facility. In fact, the Rio Rancho nursing home abuse & neglect attorneys at Nursing Home Law Center LLC have handled many cases in New Mexico where the nursing home victim suffered injury or harm through physical or verbal abuse, invasion of privacy, inappropriate sexual behavior and outright neglect. Medicare regularly collects information on every nursing facility in Rio Rancho, New Mexico based on data gathered through inspections, surveys and investigations. According to the database monitored by the federal government, investigators identified serious violations and deficiencies at four (18%) of the twenty-two Rio Rancho nursing facilities that caused resident’s preventable harm. If your loved one was injured, mistreated, abused or died unexpectedly from neglect while living at a nursing home in New Mexico, your family must protect their rights for justice. We invite you to contact the Rio Rancho nursing home abuse & neglect attorneys at Nursing Home Law Center (800-926-7565) today. Schedule a free case review and let us discuss your legal options for obtaining monetary recovery to ensure you are compensated for your damages. Even though policymakers, researchers and the advocates have gone to great lengths to strengthen nursing home regulations, rules and laws, the cases involving abuse, neglect and mistreatment are still exceedingly high. This number is expected to grow even higher in the years ahead as many more of the aging population enter their retirement years. Cases of mistreatment are especially of concern in Rio Rancho and Sandoval/ Bernalillo Counties. This is because out of the more than 800,000 residents living in both counties an average of 15 percent or 120,000 individuals are in their retirement years. The limited number of nursing home beds and the increasing number of elderly citizens in New Mexico will likely cause overcrowding and a lack of adequate staff to ensure that the needs of all residents are met. Our New Mexico elder abuse attorneys recognize that many forms of mistreatment, neglect and abuse are hidden, undetectable or underreported. Often times, the victim lacks the capacity to speak up to say what happened, or live in fear of retaliation from those that cause them harm, should word get out of the perpetrator’s unacceptable behavior. However, recognizing and assessing neglect and abuse against the elderly and disabled is a crucial component to stopping the mistreatment. In an effort to provide assistance, our Rio Rancho nursing home lawyers continuously scour publicly available data from numerous sources including Medicare.gov outlining specific cases occurring in nursing facilities. The information we obtain provides valuable information on safety concerns, health violations, opened investigations and filed complaints against nursing facilities all throughout New Mexico. We publish this information in an effort to help families make the best decision of where to place a loved one and which facilities to avoid. The detailed list below was compiled by our Sandoval County nursing home neglect attorneys. The information lists the Rio Rancho area nursing facilities that currently maintain below average ratings compared to other homes nationwide. We have also added our primary concerns by showing specific cases where the victim was directly or indirectly harmed by the actions or inactions of the nursing staff and/or other residents. Some of these cases involve harm or injury caused by the spread of infection, avoidable accidents, facility acquired bedsores, safety violations, health hazards and other serious problems. However, a review of the resident’s “Medical Record did not reveal any hospice nursing notes or physician’s orders” or that the orders “had been acted upon. The investigator reviewed the as needed (PRN) Pain Management Flow Sheet that revealed that in December 2015, the resident had requested their pain medication 25 times and that between 01/01/2016 and 01/07/2015 the resident had requested their medication for pain 20 times. “The hospice nurse stated that when she met with [the resident] on 01/06/2016, the resident stated that sometimes the pain medication helps and sometimes, it doesn’t […and] stated that the resident should be evaluated to determine if she needs an increase in her dose and more frequent dose but verified that this had not happened yet. Our Rio Rancho nursing home neglect attorneys recognize that failing to provide all necessary care and services to residents to ensure their pain management is effective could diminish their quality of life because they are continuously in pain. The deficient practice of the nursing staff at Rio Rancho Center might be considered negligence or mistreatment because the nursing staff and attending physician failed to take appropriate measures to increase the dose or manage the medication to be as effective as possible. Upon review of the resident’s Interdisciplinary Discharge Summary, it was noted that the resident had been admitted to the facility and had expired. The investigator also reviewed the resident’s electronic MAR (Medication Administration Record) to show that when the resident was being treated their “blood pressure was being monitored twice daily with the last document blood pressure… noted to be within normal limits.” However, a review of the resident’s TAR (Treatment Administration Record) “revealed an order to check vital signs twice a day at both 6 AM and 6 PM, which conflicts the physician’s orders of checking vitals every shift. In a summary statement of deficiencies dated 12/12/2014, a state surveyor made a notation during an annual licensure and certification survey concerning the facility’s failure to “provide a sanitary environment that prevents the spread of disease and infection.” This deficient practice by the nursing staff at Montebello on Academy involved one resident “who had MRSA (methicillin-resistant Staphylococcus aureus)” but could potentially affect all 54 residents at the facility. The following day on 12/11/2014 at the 11:35 AM, an interview with the resident was conducted. During the interview, the resident “stated that he had been sharing the bathroom with his roommate, but today they brought me a bedside commode to use.” During this interview with the resident, it was observed that the other resident was lying in his bed in the same room. The investigator then asked the Director of Nursing to define “cohorting” in reference to MRSA. The Director responded that “Ideally, we would not put a resident with an open wound in the same room with someone who had MRSA and MRSA cannot be spread like Clostridium difficile because it is not a spore.” The Director was asked “if the facility had an Infection Control Committee per the facility’s policies. The Director replied, “No.” The Director also stated that they just pick a product out of a list of products when choosing the type of disinfection wipes to use in the facility instead of having specific wipes to use to sanitize areas of people with infections. 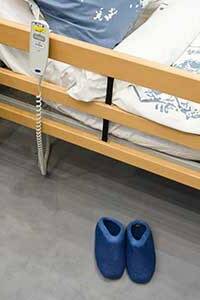 Our Albuquerque nursing home neglect attorneys recognize that failing to develop, implement and enforce policies that prevent the spread of infection throughout the facility could jeopardize every resident. The deficient practice by the nursing staff at Montebello on Academy might be considered negligence or mistreatment because their actions fail to follow established protocols adopted by the facility and enforced by nursing home regulations and federal and state laws. In a summary statement of deficiencies dated 06/16/2015, a complaint investigation against the facility was opened for its failure to “implement their policies and procedures regarding the screening of new employees to rule out a history of abuse, neglect and mistreatment [of residents].” The deficient practice by the nursing staff at Albuquerque Heights Healthcare Rehabilitation Center had the potential to expose all 117 residents at the facility to abuse and/or neglect. As a result, the state investigator conducted a 10:30 AM 06/11/2050 interview with the facility’s Human Resources Director. When the Director was asked about the employee’s Caregiver Criminal History Report “she stated that ‘This one fell through the cracks. We didn’t know if he was going to work out’.” The investigator asked “if the facility has submitted a fingerprint request form” and the employee is required by law. The deficient practice was noted by the state investigator upon review of a resident’s 04/17/2015 Hospital Discharge Summary that indicated that the resident while at the hospital “underwent exploratory laparotomy [a surgical procedure where the surgeon makes an incision through the patient’s abdominal wall as a way to gain access into the patient’s abdomen]. Due to the patient’s kidney injury, the patient was transferred to [the hospital]. As a part of the closure procedure, the abdominal fascia was closed during the procedure, but skin was left open for the placement of a wound VAC. When the resident returned to the nursing facility after being discharged on 04/17/2015, the Hospital Discharge Orders directed the facility nursing staff to provide wound care. The physician’s orders note “wound VAC to midline (of the abdomen), change every 48 to 72 hours; ostomy to lower left quadrant change as needed” where the surgically created opening discharges body wastes. Our Albuquerque elder abuse law firm recognizes that failing to ensure that every resident receives the highest level of care in accordance with professional standards could potentially cause actual harm. The deficient practices by the nursing staff at Las Palomas Center could be considered negligence or mistreatment because their actions fail to follow established procedures and protocols adopted by the facility and enforced by federal and state nursing home regulations. Many cases involving mistreatment, exploitation, abuse and neglect are obvious to detect. Other times, the resident must be assessed or screened to identify the level of mistreatment. This is because many nursing home residents become victims of self-neglect due to cognitive impairment or physical inabilities. Many frail elderly residents suffering from cognitive impairment are challenged to accurately recount an incident or event involving abuse. In these cases, recalling circumstances and details may not be enough to identify the suspected perpetrator that caused them harm. Protecting the victim of abuse is crucial. State and federal laws require that the alleged perpetrator be removed from the situation until a complete, full and comprehensive investigation can be conducted to determine exactly what happened. Even so, many nursing home residents live in fear of retaliation, even if the perpetrator is no longer present in the facility. Even though national, state and local laws require that the nursing staff and other medical professionals are required to report any suspected event, action or incident of neglect, abuse or exploitation, it does not always happen. This is because administrators, nursing staff, directors and management are not always aware that the level of harm, injury or trauma the resident endures is at a level that needs to be reported to state and federal agencies. Without oversight, many victims’ cases slip through the cracks. Because of that, families will often hire a personal injury attorney who specializes in nursing home abuse, mistreatment and neglect cases to serve as a legal advocate for their loved one. The laws of New Mexico and the United States governments have been enacted and enforced as a way to provide nursing home residents protection against abuse and neglect. However, when a loved one is harmed, proving exactly how those laws, rules and regulations have been violated will require an experienced New Mexico nursing home attorney who has a comprehensive understanding of state tort law. The Rio Rancho nursing home abuse attorneys at Nursing Home Law Center LLC have handled many cases of mistreatment in nursing facilities all throughout the Albuquerque area. Our reputable New Mexico elder abuse lawyers fight aggressively to protect the rights of our clients to hold those at fault legally answerable and financially accountable to the victim and family members. We encourage you to contact our Sandoval County neglect and abuse attorneys today by calling our law offices at (800) 926-7565. We provide a free full case evaluation and consultation to discuss the merits of your claim for compensation. All information you share with our law offices remains confidential. We accept all nursing home abuse and neglect cases through contingency fee arrangements. This means we provide immediate legal representation without the need for any upfront payment. All of our services are paid only after we win your case at trial or negotiate an acceptable amount of financial compensation through an out-of-court settlement.